The Amazon Fire 7 runs Amazon’s version of Android, Bellini. This is a custom version of Android Lollipop that Amazon themselves keep up-to-date via OTA updates. to unlimited Amazon cloud storage, Amazon Prime Music and many other services. If you are already using some of these services, this tablet makes a lot of sense because the integration with them is painless. The $39.99 model includes the Special Offers (it displays adverts for other things you can get on Amazon while the device sits idle) while you can opt out of that for an additional $10 with the non-Special Offers version. The Amazon Fire lineup of tablets has done well for the retailer and the 7″ model has been one of the most well received, having a 4 of 5 star rating and over 28,000 reviews on the site. Again, if you are in the Amazon ecosystem, this tablet is definitely at the right price and gives you easy access to all of your other Amazon services. The sale is now through February 13th. If you need a device with a little bit more screen real estate and power, you can also get a great deal on the Amazon Fire 10 tablet. This model has a HD 10.1″ display that renders at 1280 x 800, comes with either 16GB or 32GB of built-in storage which can be expanded like the 7 with up to a 128GB MicroSD card, and has a 1.5G GHz quad-core processor. Like the 7, it takes full advantage of all of the Amazon services and runs the latest version of the Amazon Bellini, Android based OS. 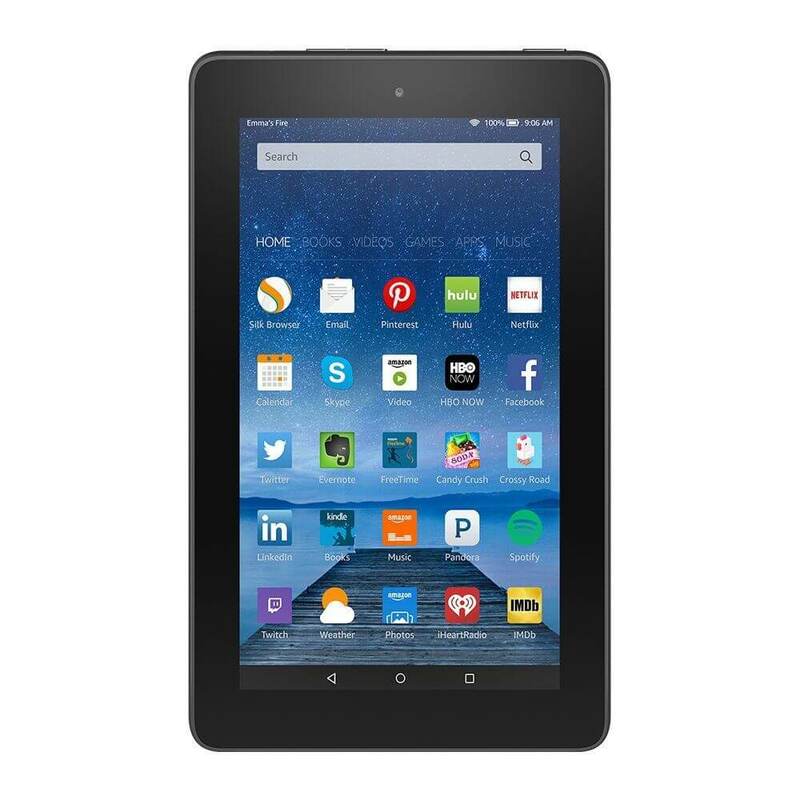 The Amazon Fire 10 starts at $179.99 for the 16GB model, a savings of $50 off the regular price.